On May 19th 2018 Prince Harry marries Meghan Markle. We have been devouring the press that tells us Meghan is bucking royal trends and going with her own choices (you go girl!) and one of these is her flowers. She is a girl after our own hearts choosing a local florist who focusses on using local growers, reduced plastic packaging and gives back to a charity each year. Philippa Craddock London is creating what will no doubt be stunning arrangements at the venues and for the bouquets. So how can you achieve more conscious wedding flowers on your day? 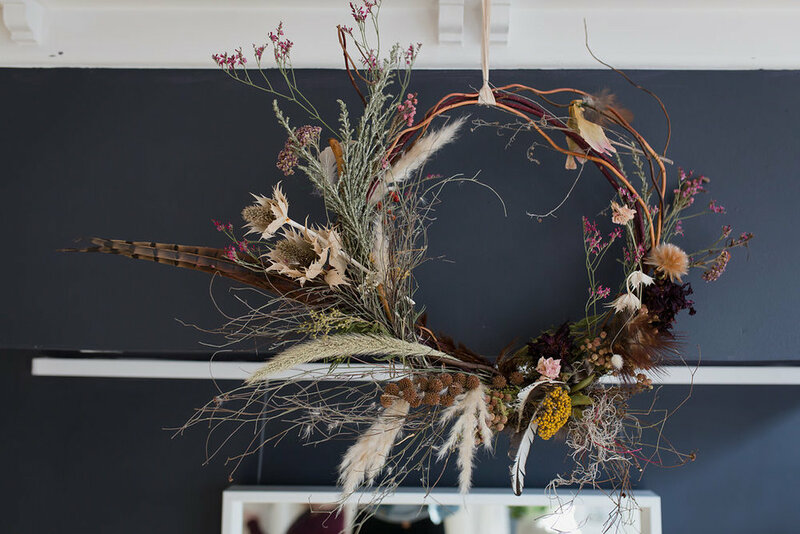 Here's our tips on how and some inspirational ideas from Artemisia Floral. After the big day donate your flowers to the local hospice or some retirement homes. This way many people get to enjoy your beautiful arrangements and you bring joy to the days of those in need of a lift. Most wedding venues these days are already stunning so consider where you can make the most of your arrangements. Reuse all the bouquets as table arrangements when you arrive at the venue instead. These back drops are still stunning without being huge in volume. 3. Is fresh always best? Whilst florists can’t always use 100% British flowers i.e. in the winter, where they can they will. And if you love the flowers but can't get them fresh they get them dried! This doesn't necessarily save cost but does stretch out the timeline for British flowers. Do the button holes need to be fresh? Could you make them from dried British flowers in advance of the wedding and have them as keepsakes afterwards or create a framed collection for your home. Same goes for your flower crown and then you can rewear it afterwards too. This works if you are heading for a mix/match of flowers rather than a cohesive theme. The Artisan Dried flower co offer bouquets, button holes, flower crowns and more from dried British flowers I used them at my own wedding featured previously on our blog. Speak to your florist to discuss not using florist foam (which is non biodegradable) and asking them not to wrap up their flowers when they are bringing them to arrange in single use plastic. Does your florist compost their waste? If not and you or a family member composts ask for the waste from your arrangements. Sometimes your local area can be a gem of discovery such as a little branch off a local blossom or some evergreens. Do bear in mind the health of the tree and don't chop away reducing it to nothing. Locally grown is important. Why? finally one I think we would all like to be more in tune with - a focus on seasonality. A great site to visit and movement within the floristry industry is: Flowers from the Farm, a community of over 500 members of growers and florists working together to focus on promoting and using British flowers. This year they are creating a display at Chelsea Flower Show to further promote British flowers. There is a general lack of awareness to flowers can be grown on a doorstep from the Islands of Scilly all the way up to Inverness! Join us to influence change and wedding flowers are the perfect place to support grown in Britain. Charlotte of Artemisia Floral is a local florist to us sourcing UK grown flowers for her arrangements. She recently decorated our boutique with her wonderful dried flower creations. After making the switch from Architecture to floristry (both creative but what a switch!!) she knew that her business would always have a focus on reducing environmental impact and supporting local growers. She works with local growers for her creations and works for a local grower so she is in tune with her flowers from seed to bloom. 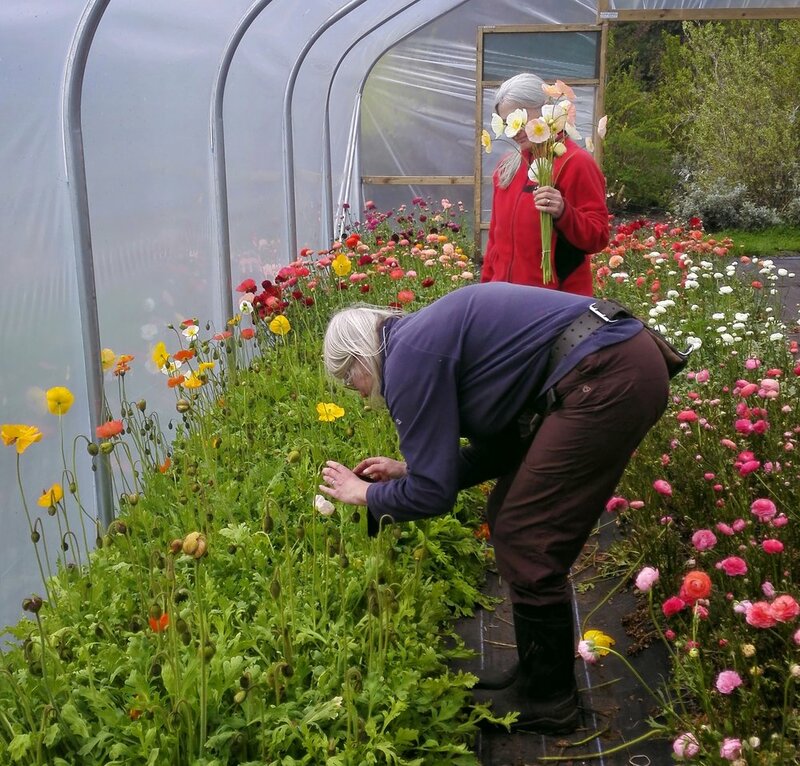 A great flower farm in the North West is Carols Garden run by Carol Siddorn who produces the most beautiful and unusual flowers grown in as sustainable way as possible. She grows over 500 varieties of flowers and plants! One place we are all trying to connect with is our home. Weddings for us are all about incorporating things we love including people, things and place; that show your history and personality as a couple. Many couples have considered using local food produce but this can extent to your flowers too. Like the slow food movement, in an ever globalised world being able to see the flora and fauna of the season can be important for connectivity with place. The styles that can be created with British flowers naturally lend themselves to current wedding trends of more greenery, natural, relaxed displays and a bohemian wedding vibe. Sign up with your email address to receive the latest news, exclusive offers and wedding inspiration.